(1− x) Cr2O3/x MoS2 (x = 0.25, 0.5, 0.75) were synthesized using the powder solid-state route. The structural, morphological, vibrational, and magnetic properties of the as-prepared MoS2/Cr2O3 samples with different Cr2O3 contents have been studied by X-ray diffraction (XRD), scanning electron microscopy (SEM), infrared spectroscopy, Raman spectroscopy, and vibrating sample magnetometry (VSM), respectively. The X-ray diffraction results show the presence of the parent compounds (molybdenum disulfide (MoS2) and chromium oxide (Cr2O3)) in addition to a secondary phase corresponding to chromium molybdenite Cr2Mo3O12. Raman and IR spectra were recorded, and the observed modes were analyzed and assigned to different normal modes of vibration. 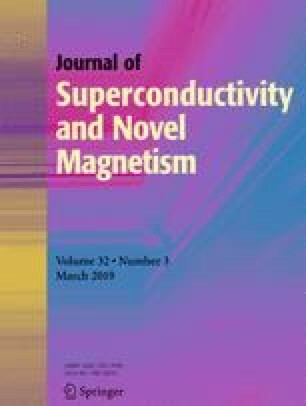 Magnetic characterizations revealed that all the series MoS2/Cr2O3 composites possess paramagnetic characteristics both at room temperature and at 30 K. Further, the maximum of magnetization increased with the increase of Cr2O3 content.